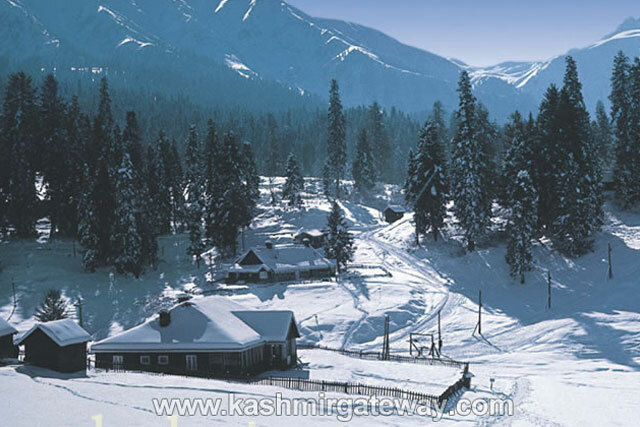 During British Raj in 1927 skiing was introduced in Gulmarg and now it is considered as the ski paradise of India. Just 50 kms from Srinagar, altitude 2730 meters. Gulmarg is worth seeing during the whole year. April to November Gulmarg’s large meadows & slopes are full of wild flowers. 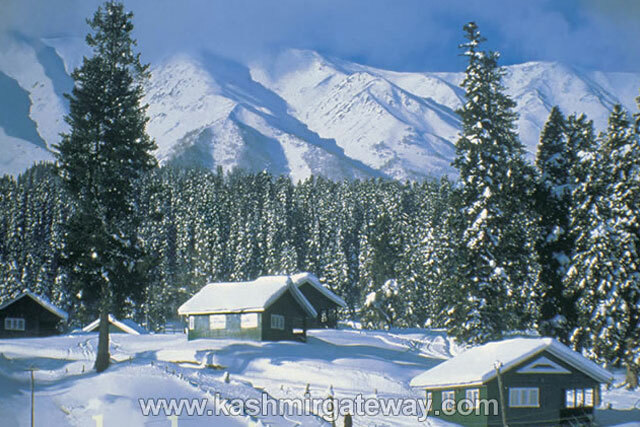 From November Gulmarg changes its scenery to one of the most beautiful falls in the world and then from December it’s full of snow and becomes one of the major attractions for adventure loving tourists. 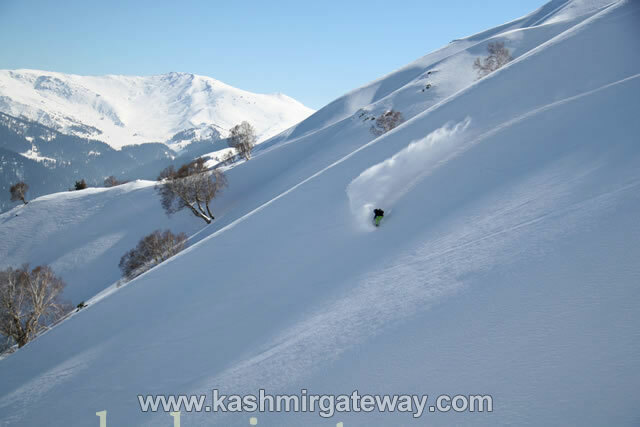 Gulmarg enjoys the position of being one of the highest lift-served ski resorts in the world. This is due to setting-up of a Gandola Cable Car Lift from Gulmarg to kongdori and then to Apharwat top giving a downhill ski run of over 7 kms. 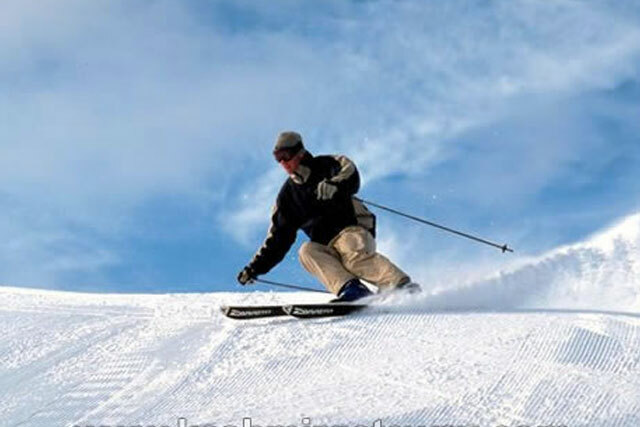 Besides, three ski lifts and one chair lift also serves the resort, which are ideal for beginners and intermediate-level skiing, respectively. Around the middle of December, before the Christmas, the skiing season in Gulmarg usually commences, which continues till the middle of April. 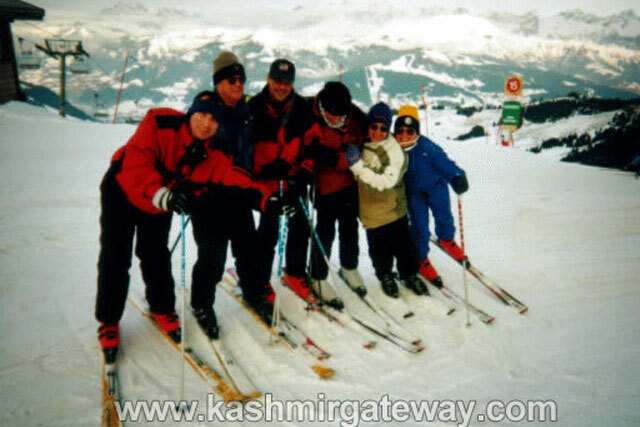 In January-February, 1998 the first National Winter Games of India were held at Gulmarg, for which the facilities of the skiing resorts were highly improved and upgraded. The resort had two Kasse Bohrer snow beating machines used for preparing skiing slopes, and five snowmobiles, which are used for going up the mountain. Good quality equipment, including skis, boots, sticks, gloves and goggles can be hire on the spot from the Government-run ski shop. There are also experienced instructors available for supervising the visitors. 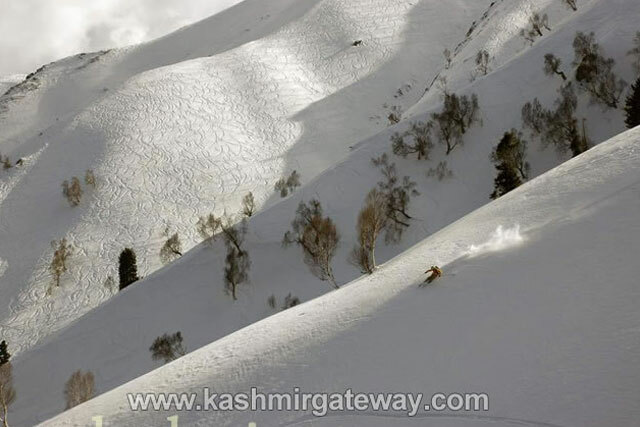 Gulmarg is ideally acceptable for learning skiing, as it is probably the cheapest ski resort in the world. The facilities that are available here are the best in Asia. There are skiing schools that train the beginners on how to handle the powdery snow and the precautions that one must take while skiing. There are shops that give the equipment required on hire. And the gears and equipment provided is as good as you will get anywhere else in the world. There are good medical facilities as well in the region that takes care of any mishap that occurs on the slopes. Avalanche control facilities are also there but they need to be stepped up a bit. We can offer you some Special packages for skiing. Click here to see the packages offered. Besides the above itineraries we can also make special tailor made itineraries as desired by you.